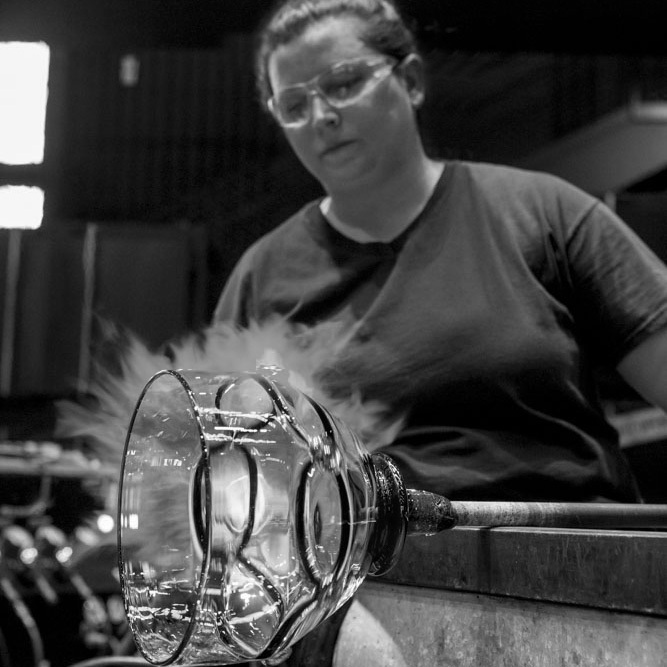 Watch live as Catherine Ayers, a member of the Hot Glass Demo team, demonstrates her talents as an artist in the Amphitheater Hot Shop on August 24 from 6 to 8 pm. Catherine Ayers was first drawn to the magic of glass when she enrolled in an introductory glassblowing class at The Studio of The Corning Museum of Glass. She earned a BFA in glass at The Rochester Institute of Technology, working at The Studio during summer breaks. Ayers furthered her exploration of glass in Murano, Italy; at the Haystack Mountain School of Crafts in Maine; and at The Sandwich Glass Museum on Cape Cod. Ayers’ whimsical and unique glass creations are inspired by her love of the ocean.